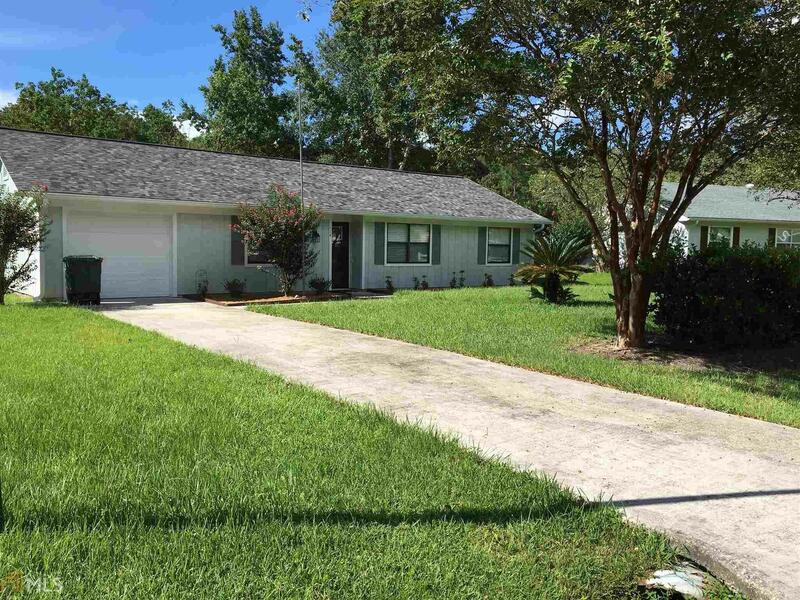 This 3 bedroom/2 bath home just renovated in Fall 2017 with new paint throughout, new light fixtures, new wood laminate flooring in living, dining & kitchen, and carpet in all bedrooms. Open split-bedroom plan with galley style kitchen complete with stainless steel flat-top stove, dishwasher, and built-in microwave. In January 2018, new French-door refrigerator and washer and dryer were added. Also, new 3" blinds for all windows and sliding glass door were added January 12, 2018. New storm door April 24, 2018. New Storage Shed, 8 x 10, 2018. Landscaping, August 2018, front and back yards. This home is definitely ready to move in. Directions: Hwy 40 West Towards Kingsland, Go Over 17, Follow Until You See Gas Station On Left Side Of Street, Turn Right Onto Woodhaven, Follow To 2nd Road On Left (Oak), The Home Is Around The Bend On Left Side Of Street.